Multi-Level Marketing Groups Defraud Consumers! 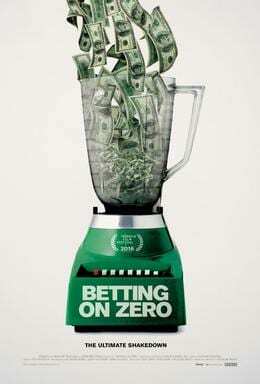 There’s a new documentary coming out today Betting on Zero: The Ultimate Shakedown which exposes Herbalife, one of the largest MLM’s. Check out http://bettingonzeromovie.com/ to watch the trailer and find a screening location. I hope documentaries like this continue to raise public awareness of commercial cults. Once you understand their tactics, you can protect yourself and help your loved ones avoid recruitment. With the appointment of Betsy DeVos as the United States Secretary of Education, and the fact that much of her family's wealth comes from Amway, it seems like the public is in great need of learning more about Multi-Level Marketers and how they operate. My colleagues who research and study these groups feel that under the current administration, there will be even more aggressive, deceptive efforts if MLM operators know there will be no equally aggressive federal prosecution. Now I see Google ad that falsely represents that Bill Ackman financed the movie- something the award-winning filmmaker, Ted Braun categorically denies. MLM recruiters over-emphasize “success” stories. They tell people that they can work part time, make millions, and retire early. The reality is that most people who join actually lose money by paying for workshops, courses, seminars, and inventory. MLM recruiters use loaded language in order to control how you think about the situation. They frame their scheme as an “opportunity” or “investment.” They will try to make it sound like they are trying to help you. They will use their personal relationship with you as leverage to try to get you to sign up. Of course people want to get rich. This is a leading question meant to get people to agree. Obeying the request to raise their hand also puts them in a more compliant mindset. MLM’s rely on “network marketing.” They pressure people to aggressively recruit their friends and family. Just like any other cult, they try to isolate their members from friends and family who are not completely supportive of their involvement with the group. Some MLM’s even call these friends and family members “dream stealers.” Even if the MLM doesn’t outright encourage isolation, repeated sales pitches can alienate and frustrate loved ones. If something sounds fishy, Google it! Use the name of the group plus “cult,” “pyramid scheme,” “scam,” etc. See what former members have to say. Do your research before making any investment. Don’t take the recruiter’s word at face value. MLM’s are commercial cults. They use deceptive and manipulative techniques to recruit and maintain control over people. The people at the top of the pyramid may make a lot of money, but it comes at the expense of everyone else’s financial security and even relationships. So-called "independent business owners" are actually pressured to buy books, audios, attend training conventions and manipulated to believe that if they believe 100% then they can make millions in their spare time. Doubt is a fault. And so if you don't make millions, the problem is you didn't believe hard enough, or devote yourself totally. The blame is all on your shoulders- never the recruiter or top owners. Family, friends and also former distributors have read my book, Combating Cult Mind Control, and thanked me for helping them better understand what happened to them. The problems caused by MLMs are horrific and they are operating all over the world and causing harm. Getting scammed by an American MLM is not a positive for foreign relations. Also, Robert Fitzpatrick has an incredible website and his satirical booklet, “In Defense of the Pyramid Scheme” which he wrote under a pseudonym as if he was promoting MLMs as a true believer. To be clear, “In Defense of the Pyramid Scheme” is a satire that reveals how pyramid schemes — which are destructive frauds — are justified and rationalized as “businesses” and the win-lose character of these calculated scams are written off as normal market transactions.